Normally, a long-slumbering vintage Japanese car residing in Maine would be nothing to get excited about, as the likelihood of finding a seriously rotten car behind the garage door is highly probable. However, in this instance, we’re pleasantly surprised to see a 1983 Mazda RX-7 GSL hiding out in Biddeford, Maine, without fatal amounts of rust. 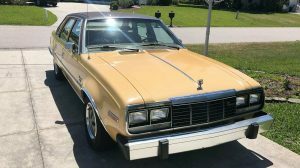 The car, listed here on eBay with a $7,500 Buy-It-Now, does not run at the moment and is sold with the garage-find dust intact. The seller says the door edges are “crusty” but that those panels are the extent of any corrosion. 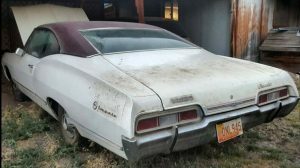 The listing claims the seller purchased the car from a long-time owner who used the car in high school and then left it parked in his mother’s garage ever since. 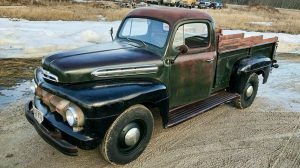 The flat tires, dusty paint, and straight panels all point to long-term sitting and little exposure to the outside world. 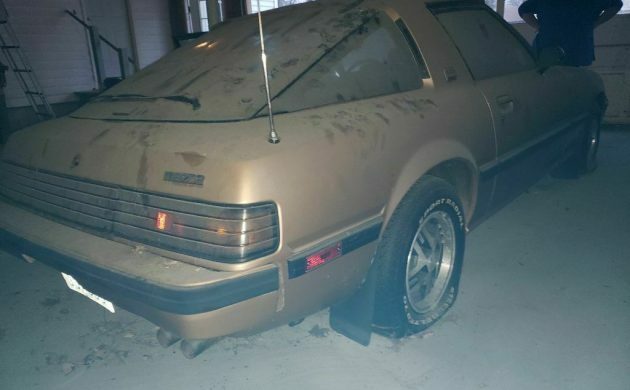 The seller includes two photos showing very minor rust on the door edges, so hopefully that’s the extent of it. The GSL cars offered RX-7 shoppers some nice upgrades, including a limited-slip differential and four-wheel disc brakes. With under 80,000 original miles, there’s hope the LSD still works, and the interior certainly shows like that of a car that hasn’t been abused: The buckets display little to no wear in photos and the dash remains un-cracked. If the previous owner drove this RX-7 in high school, he was one of the more conscientious students out there. 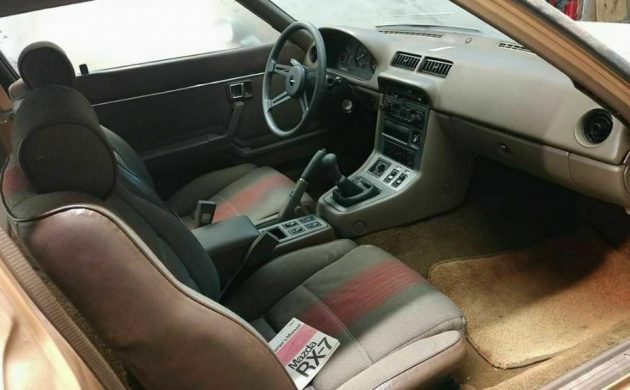 The seller is fairly adamant about not starting the rotary motor before a potential sale. In fact, he thoroughly discourages any attempt to start it without full payment received and the ink dried on the paperwork. I can’t say I blame them – who wants a paperweight just seconds away from a potential sale – but at least confirming the engine is still free would put buyers’ minds at ease that this long-forgotten RX-7 has a chance to return to the road. Eh, this is one DayDream which I choose to disregard….. If I were looking for one of these and the original owner was presenting the story and selling the car and could prove the engine would turn over I probably would maintain some interest. Especially when there’s a running, driving first gen on the Maine CL in similar condition to this for $4500. I agree with the seller in not turning the engine over. I feel for that price a professional detail should be included. Same year and model that my parents had. I have a soft spot for these, but gold paint and deep slumber would make me fold this hand. I love RX-7s and ive owned 4. an 81, an 83, an 84, and I currently own an 85 GSL. I know what that car is worth andi know the potential of it running. but not starting it before I give cash is not an option. any smart person would make sure it starts before paying. just common sense. especially if you are not familiar with rotary engines. they are a different animal. you absolutely can not treat it like or expect it to act like a piston engine. I have an ‘82 rx7. Has not been started in 3-4 years. Am thinking of getting it restored this summer. Ran well when parked- really! Not sure how to start it again without doing damage. Any tips? 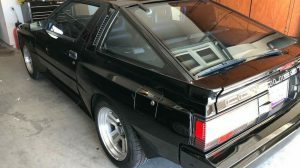 Dennis: Seek out the RX7 forums online. There is a wealth of knowledge available. First advice: DON’T try to start it without developing a fundamental understanding of how a rotary works. At the bare minimum, ask someone you trust who has knowledge of rotors to advise you and walk you through it. 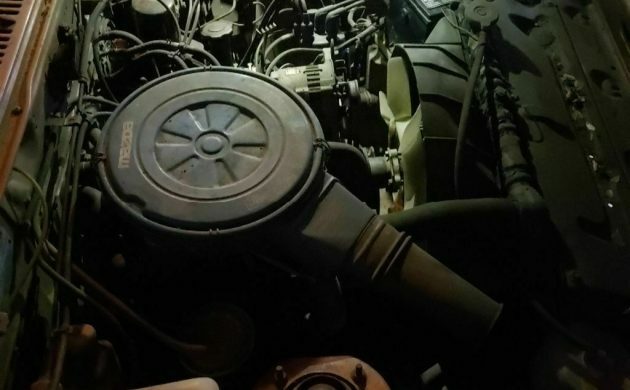 A standard piston combustion engine can be woken safely with minimal damage if done properly, but do a rotary wrong and plan on buying a crate engine. Patience and knowledge is rewarded. Anyone who buys this car without being able to start the motor might as well plan on buying a crate motor for it. 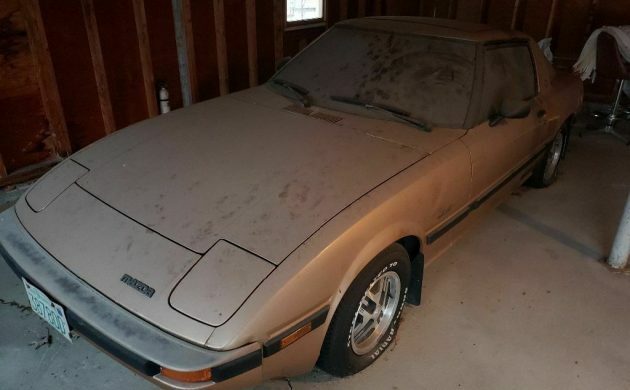 By the time you’re all said and done, you could have a gold ’83 Rx7 for used Porsche 996 money. I remember the RX-7. I found it to be the best looking Mazda produced at the time. Some friends and I would joke about the Rotary Wankel engine. We’d refer to it as the “Wanker” engine. Yeah this whole thing is pretty sketchy. My mom had one and it was a hoot to drive. But as a sixties hippie if it comes with LSD I might be tempted.